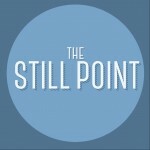 Calling all humanities researchers: The Still Point journal wants your submissions! The Still Point Journal is a new literary journal featuring non-fiction, short fiction, visual work, and poetry from Arts and Humanities researchers in London. The journal is currently seeking submissions of creative non-fiction, short fiction, poetry, and visual artwork, for its inaugural issue and web journal. Submissions should be no more than 2000 words and the deadline is the 31st of April 2015. Please see their website for more details and submission guidelines. The Still Point aims to be a forum for dialogue, collaboration and experimentation, and offers a space for creatively writing through ideas in original forms. It has been set up by PhD students in the AHRC-funded DTPLondon Arts & Humanities Partnership.